Are you fertilizing them? If it is high in nitrogen, you will have beautiful plants and no fruit. They were small plants for first 45 days, cold old days, and no sun. I did use Fish Food and Espoma food, 30 days ago. Huge fruits on some plants only 30inch high. Patience! 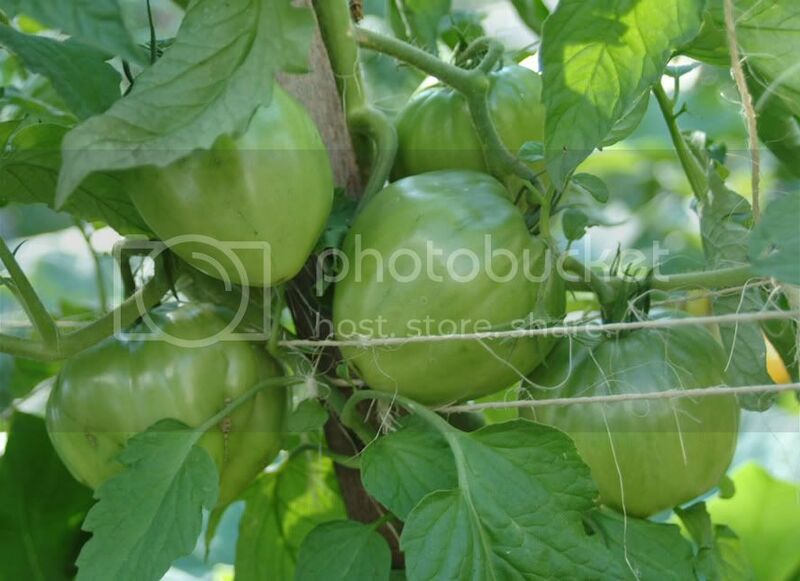 Look up the maturity days for your varieties of tomato. That will be a true measure of when they should be ready. For instance, Early Girls are 50some days to maturity. I did check only Bradywine is 80 days, all others are 65-75. So i do pick any that has any new color at all. Put the in a paper bag with a banana and apple and then a dark place. I did this last week for 2 small Black Krim fruit, they were great. Kids will be in school in 3 weeks, no one around here has Heirloom tomatoes. Even farm market around here have only fruits which they sell and they are not ready to eat? It sounds like you are just in the early stages of being able to expect 'maters. I'd just be patient and let nature take it's course! I prefer vine ripened personally. Lots of folks around here are grumbling that their fruits aren't ripening. Not sure if things are actually later this year than normal or if people are just always impatient for tomatoes!! We did have a strange growing season, though, that might be delaying things...a super-wet spring with a stretch of very cold nights right after plants were set out, an almost completely dry June-July with inconsistent temps. Now we are finally getting some rain and things seem to be more stable temp-wise. Hopefully that will mean some red tomatoes! Same, I'm over by Boston. And it doesn't really seem like there's anything that can be done to speed up vine ripening. I am not in New England but the climate is somewhat similar here. It would be much better if the seed companies would switch from days-to-maturity to information on growing conditions. The Weather Service keeps track of "growing degree days" for us and commercial sweet corn varieties (for example) are sold with that information on the tags. It seems that 1700 growing degree days is something of a rule of thumb for ripe beefsteak tomatoes. The Weather Service shows that Burlington, VT; Concord, NH; & Worcester, MA are now in the ballpark (click). Maine might have to wait a few more days. In my garden, I'm still waiting to get a little closer to 1700 GDD but have had dribs and drabs of cherry tomatoes for a few weeks now. Only the very earliest of the heirlooms have produced a ripe fruit and the plants are so small that I can't expect much from any of those. 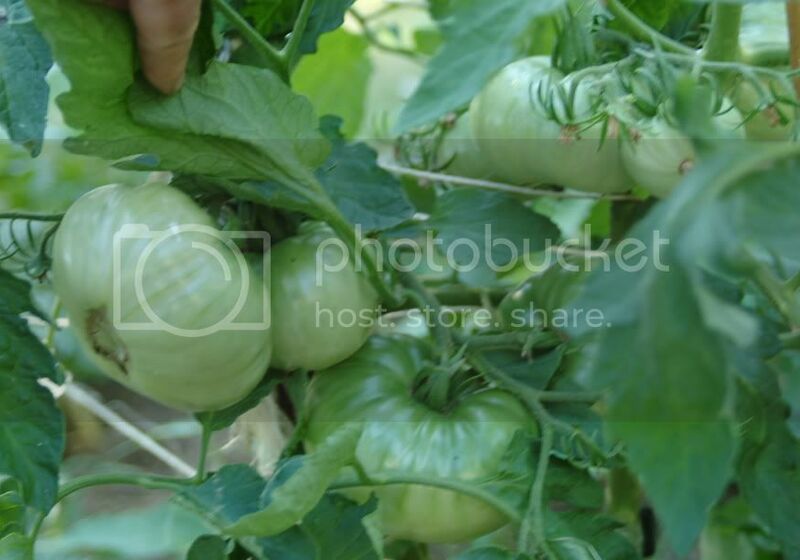 That lighter green on many of those tomatoes looks promising to me, Filmnet. 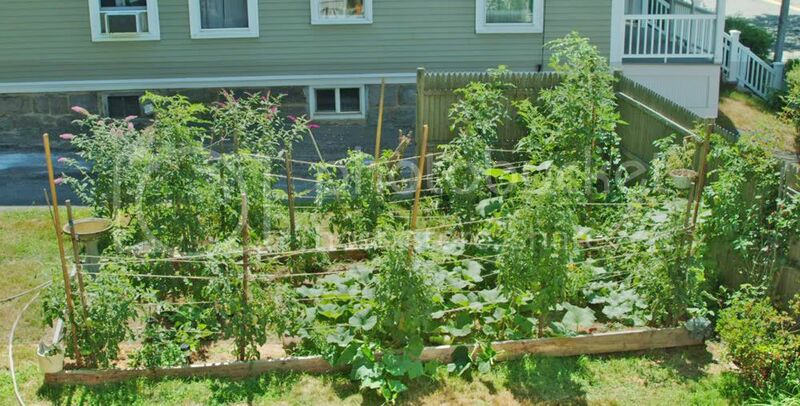 A couple more days of warm sunshine and you should be in the ripe tomato business . THAT is a marvelous and interesting link. Thank you, DigitS'! The city closest to me is at 1757...and it is in a valley, by a river...I am on a blustery hillside, farther up....I bet we are just now getting to the 1700 region up here. It is always nice to know when one should just sit back and wait, and when one should be mildly panicking and trying to figure out what went wrong!! What a great resource! Thanks... So I've been eating ripe tomatoes for a month or more, because my city is at 2584 GDD! Some of our members in TX are ovr 4000!! Hey there I'm 2039!! and my tomatoes are coming in basketfuls at a time. My Summer Salsa (saladette type, roma) is a heavy producer and therefore I am in the process of learning to can so not to wast anything. My one and only Brandywine (which I have never grown before) is producing fruit as large as the size of a softball and the taste is beyond belieft. Following up the rear are my Green Zebras ( a taste and texture I am still getting to know) and Cherkoee Purple which FINALLY is beginning to bear fruit. So far here in area 2039 it's been a banner year for this garden!! 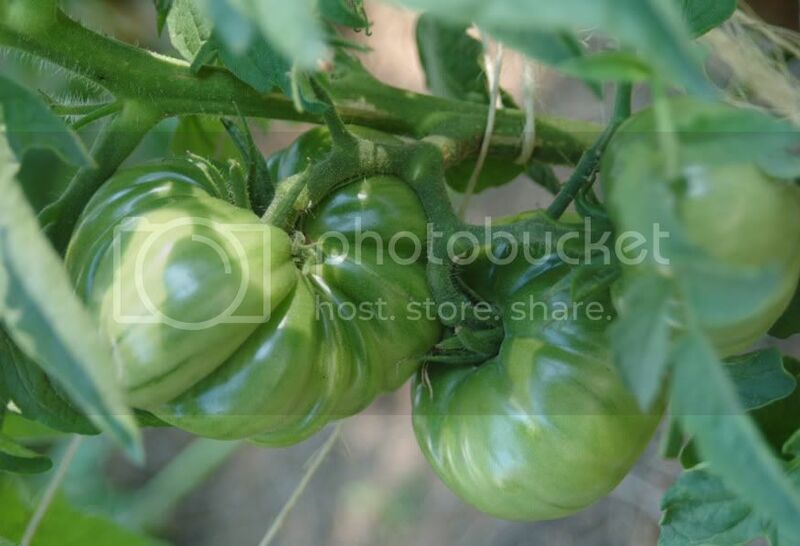 Another site I looked at put me a 666.4 and you wonder why we even try to grow tomatoes. 47 days from seed to buds. Basically no rain for 10 weeks and for the next 10 days.